Evelyn said: "This is a bookstore/coffeehouse. New and used books, with a specialization in Central European fiction and better quality titles. The biggest stock of used books in English in town and probably all of Central Europe." In its 15 years of existence, the Globe bookstore and Café has made a great name for itself in the city of Prague, and it's praised not only by the locals, but by many content expats or tourists who have visited it. After dropping by during our visit of the beautiful city of Prague, we can understand why. Besides being a great bookstore, this place has become a true meeting point for expats and regular visitors. The interior with the cool counter, high ceilings and the small balcony add to the general cozy and relaxed atmosphere of this place. Several famous writers have crossed their doorstep as well - Julian Barnes, William Styron, Gore Vidal or Allen Ginsberg - to mention just a few. 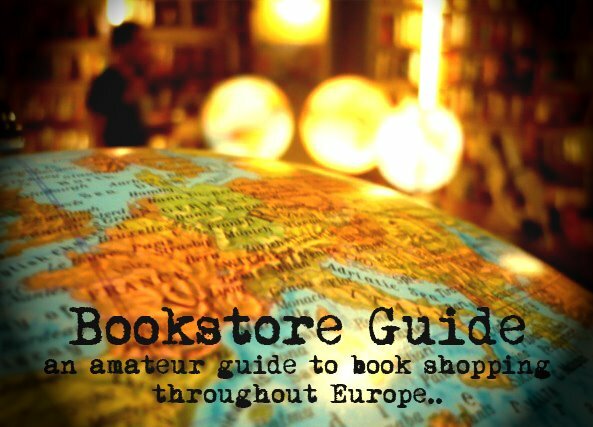 The Globe Bookstore stocks both new and used books and their offer exceeds ten thousand titles. Foreign papers and magazines are also available at the counter. The books are organized in a nice and comprehensible manner, which makes browsing really comfortable. The offer itself is very varied, that's one of the trademarks of the bookstore. The prices reflect Prague's standards, so don't expect to find titles for 5 Euro. The story of the Globe bookstore and Café starts in 1993, in the Holešovice district in Prague, where five Americans decided to risk it and opened an English language bookstore and coffeehouse. The beginnings were anything but easy, but they still managed to open the store and add a motto, which describes its purpose the best - “in libris veritas; in kava vita...” (truth in books, life in coffee...). The Globe bookstore started writing the next chapter of its existence in year 2000, when the store moved to its current location, a beautiful building built in 1895. Although the owners have changed, the Globe still remains an exceptional independent bookstore, which also hosts literary and musical events, serves as a gallery for the exhibitions of young local artists, but also gives you the possibility to chat over a coffee or a beer and enjoy their food. Love the Globe! Love the books and coffee and of course the best home-cooked food in all of Prague. Good posting..Thanks a lot for sharing..